Maintenance plays a big role in D & M's busines. 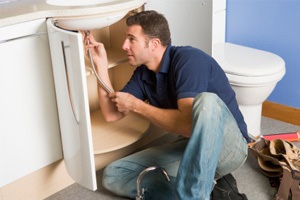 We offer a maintenance service that is in operation 24 hours a day, 7 days a week. Our office is manned from Monday till Friday by Hayley, who can be contacted between the hours of 9 - 5. Matt can be contacted any time out of business hours. Blocked drains - Electric eel, high pressure water cleaner, colour drain camera, cable locator. Consistent problem drains - clear blocked drain, insert drain camera to visualise problem area in drain - locate camera head with cable locator (gives exact location and depth) - excavate and repair section of damaged drain. Septic trench restoration with high pressure water cleaner. We offer the service of our High Pressure Jet Machine, which is great for clearing those difficult blockages, less time consuming than the conventional sewer machine and blasts its way through tree roots with ease. Our Drain Camera is handy for all those hard to get to places to see what’s happening inside. 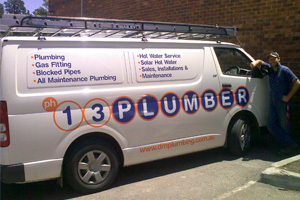 For all your plumbing maintenance needs, call 13 PLUMBER today.